The Patek Philippe Supercomplication timepiece, which sold for a record price, has been revealed to have been purchased by a member of the Qatari royal family. The timepiece, which was purchased by 11 million dollars in 1999 by a then-unknown buyer through Sotheby’s auction house. However, the identity of that anonymous buyer has been revealed by the announcement that the 1999 buyer had to pledge the Supercomplication, as well as other valuables, to Sotheby’s in order to cover their debts. Perhaps even more important than this revelation is the expectation that Sotheby’s intends to auction off the Supercomplication once again. The Supercomplication features a different function for every hour of the day, includes a chart of the night sky over New York City complete with the magnitudes of each star, and a minute timekeeper whose chimes mimic the melody of London’s famous Big Ben. The watch was originally commissioned in 1933 by the New York banker and watch collector Henry Graves, who was at the time engaged in a contest with the automotive industry tycoon James Ward Packard to see who could become owner of the world’s most complicated watch. When Packard obtained his timepiece in 1927, Graves tried to upstage him by commissioning an even more complicated watch from Patek Philippe. This watch was the Supercomplication. Sold to Graves at the price of CHF60,000, The Supercomplication remained in the ownership of the Graves family until 1999, where it was sold through Sotheby’s auction house for the record sum of $11,002,500. 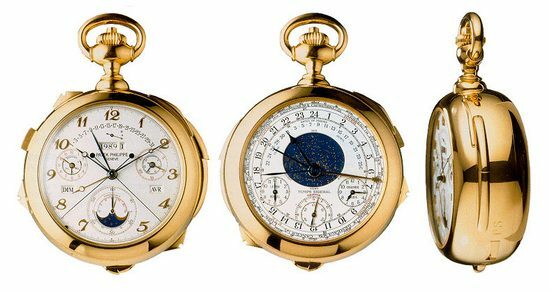 After that purchase the Supercomplication was moved from the Museum of Time in Illinois to the Patek Philippe Museum in Geneva. It took fifty years for Patek Philippe to produce a watch even more complicated than the Supercomplication—the Caliber 89 watch, which was produced in 1989 to celebrate the brand’s 150th anniversary had featured an amazing 33 more functions than the Supercomplication. Even so, this timepiece commanded a price of only five million dollars—less than half of the price garnered by its famous predecessor. With the re-auctioning of the Supercomplication apparently imminent, it remains to be seen if the Supercomplication will be able to live up to its own record—or break it.